Posted filed under Real Estate Lawyer. An investment in commercial real estate can be very lucrative and tempting, however, these transactions contain high risk due to the sheer amount of money at stake. In the US, around $76.58 billion worth of commercial buildings were constructed in 2016 alone. There are several legal issues involved in the sale or purchase of commercial property, which makes these transactions extremely complex and troublesome. The valuation of a commercial real estate property comes with unique challenges as there is no exact comparison available to gauge its value. There are many factors that must be considered before valuation of the property. For instance, any current or potential stream of income associated with the property, a reasonable price according to demand, and any future developments that may have a positive or negative effect on the viability and attractiveness of the property must be taken into account to reach to a final figure of valuation. Utilizing an experienced commercial real estate lawyer can facilitate both buyers and sellers in determining the value and legal issues pertaining to it. The commercial real estate transaction is heavily scrutinized and requires more investigation than its residential counterpart. Therefore, a comprehensive due diligence is performed in advance to inform the potential buyer about any problem with their intended use. Factors like the title of the property, property corners identification, liens agreements, and easements make it impossible to complete the transaction without the assistance of an experienced real estate lawyer. 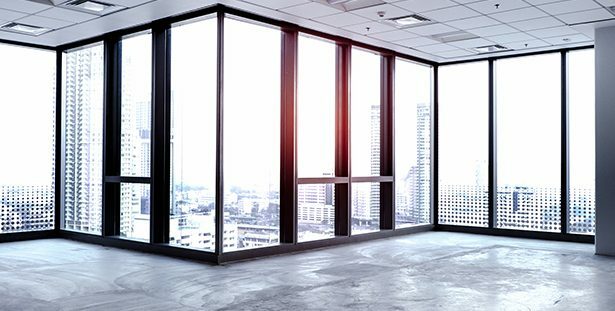 Before you finalize the transaction of a commercial real estate, it is imperative you are not assuming any liabilities pertaining to the property. For instance, after the purchase, you may find out that there is an environmental hazard present in the property. You may be found liable to eradicate this problem despite the fact that your previous owner was responsible for this problem, which may prove to be extremely expensive. Therefore, you must examine the property and the conditions relating to it prior to closing the sale in order to exclude yourself from any potential liability in the future. Commercial Real Estate soaks up a great number of liquid assets of business assets and any delay or default from the tenants can make it difficult to make payments to your financial institution. Furthermore, you will have to deal with great difficulties in selling the property during a certain time frame, especially when the market is down. Therefore, all of these long-term risks must be comprehensively evaluated before closing a deal of any commercial real estate. For further information on this subject or to schedule a free consultation, contact Casement Law Group, P.C. today at (847)-888-9300 to speak with a veteran commercial real estate lawyer on this issue.